After a performance at home at Bulawayo Theatre on 26 July, the exciting play ‘Blood Tongue, The Musical’ an exciting collaboration between Zimbabwean and South African artists produced by Nhimbe Trust in Bulawayo in 2017, now heads to the Theatre in The Park stage in Harare on 27-28 July 2018. The play is written by the award-winning Zimbabwean playwright and author, Christopher Mlalazi, directed by Bafana Dladla (SA) and Eunice Tava, with music composed by Bafana Dladla and Tshepo Pheko (SA) and arranged by Blessing Sitotombe, and scripted, edited and produced by Josh Nyapimbi. The stirring musical has been staged at the Bulawayo Theatre, Masvingo’s Charles Austin Theatre, and the Artists Preserving Heritage Festival at the Emalahleni Civic Theatre, in Mpumalanga, South Africa. Scheduled for Harare but upstaged by events in the capital last November, the play as originally produced, explored leadership accountability, the manipulative excesses of the political elite and the struggles faced by strong-willed women in present-day Zimbabwe. The 2018 edition reflects and strengthens the get-out-the-vote message backed by the outstanding fourteen musical pieces which make up the original score. The refreshed Blood Tongue aims to encourage citizens to not only exercise their constitutional right to cast a vote for the candidate of their choice, but to exercise this right with a conscience, and with consideration of how they might hold their elected officials accountable in fulfilling their mandate to serve them. Further, the musical aims to foster audience engagement and facilitate community dialogue on leadership and election processes thereby building capacity for independent critical thinking. Musa Sibanda plays the lead role, and other members of the cast include Bulawayo actresses Lady Tshawe, Rea Moyo and Agnes Ncube; backed by a five-piece band. 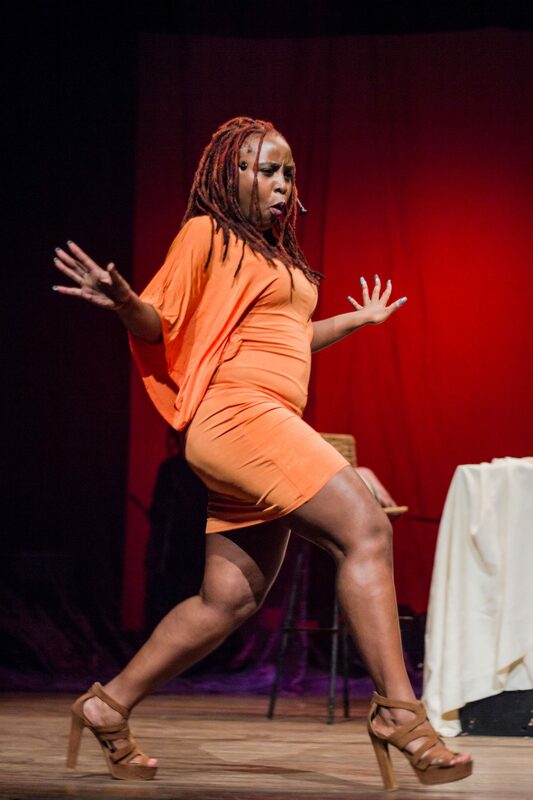 The production shone brightly at the recent Bulawayo Arts Awards 2018, being nominated for Outstanding Theatre Production, and Agnes Ncube and Lady Tshawe for Outstanding Theatre Actress, which was awarded to Lady Tshawe. This Blood Tongue – 2018 Get-Out-the-Vote Tour is made possible by the Bluez Café, Dr. Winterbottom Charitable Fund, Africalia and Rooftop Promotions.